The singer of “Someone Like You” was proud of a realistic body image. She was not interested in beautiful images that proffered in the beauty industry. Adele has responded to being ‘a little too fat, but with a beautiful face’ by Chanel Creative Director Karl Lagerfeld. “I never want to look like a model on the cover of a magazine. I represent the majority of women and I’m very proud of it,” she told. 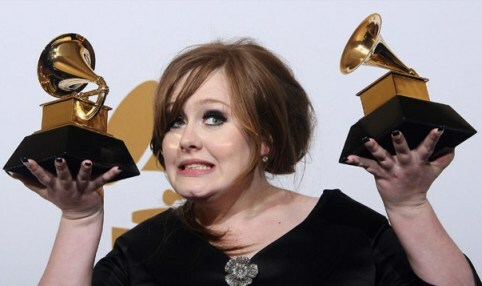 After her name became popular, Adele seems well aware of her body will become a talking point. She was often stressed in interviews that she never felt in trouble with her body, although look a little fuller. “I enjoy being myself. I’ve seen too many people who are obsessed by their bodies, or large breasts. And, I do not want to live like this,” said Adele. Adele comments highly awaited millions of fans. With millions of fans, she can campaign to combat eating disorders among women who are obsessed with slender like a picture in a magazine and entertainment.